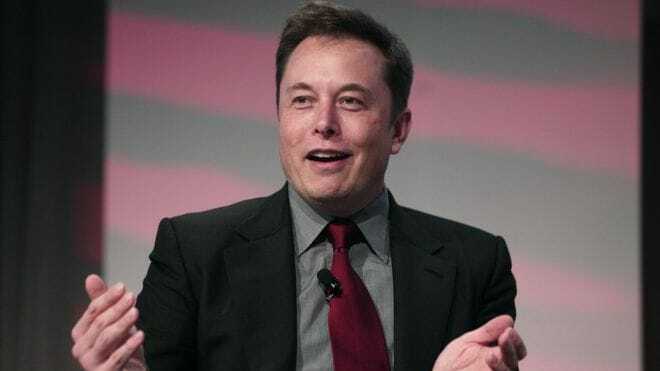 Elon Musk described the Tesla electric truck as "unreal"
LONDON - Tesla is likely to unveil its electric articulated transport truck in October, chief executive Elon Musk said on Thursday. Last year Mr Musk expressed the company's desire to branch out beyond cars. Mr Musk said an "unveil and test ride" for the Tesla Semi truck was tentatively scheduled for 26 October in Hawthorne, California. "Worth seeing this beast in person. It's unreal," he said in a tweet. The US firm's ambitions for new electric vehicles, including a commercial lorry, were announced last year. The need to switch heavy-polluting vans and trucks to cleaner engines is growing as countries around the world push to banish diesel vehicles. Tesla has also been making strides in self-driving technology. Implementing that in an electric truck could potentially move it forward in a highly competitive area of commercial transport also being pursued by Uber Technologies and Alphabet Inc's Waymo.